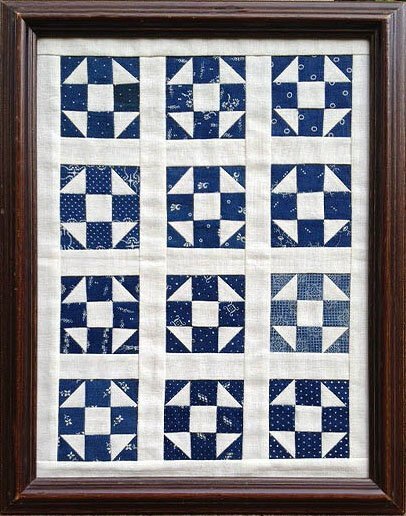 This cute little quilt for your doll or wall. It can be hand or machine pieced. It is available in theindigo scrapbag style. This kit is Beginner level.